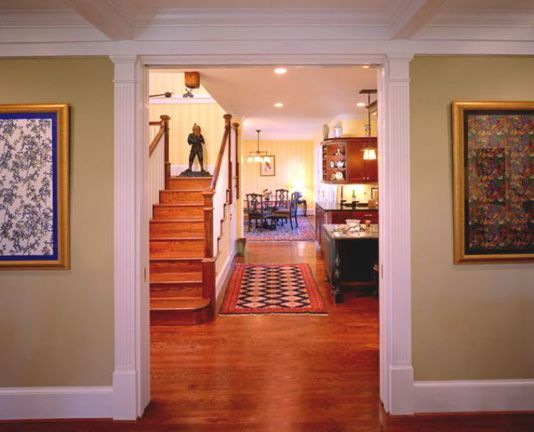 For more than 35 years, Pagenstecher Group has delighted clients with full-service home remodeling that engages them in the process every step of the way. With home inventory low, we find ourselves busier than ever as owners decide to remodel instead of moving. Why settle for a new home you don’t love when you can engage a design-build firm like us to turn your house into the home of your dreams? Or, if you’ve recently purchased a home that needs a few finishing touches, let us help you to translate your vision into reality? In an area where space is at a premium and has been for decades, we know you need to make the most of what you have. First and foremost, you need a partner — someone who listens closely to your needs and has the ability to interpret your vision. Pagenstecher Group marries the artistic insight of our accomplished designers with the sophisticated handiwork of our skilled craftspeople to ensure every project moves smoothly through each phase of the design and construction process. Remodeling is a large commitment of your time and money, so you need to choose a remodeler that you can trust. You want someone who takes your concerns as seriously as you do and sweats the small details while not losing sight of the big picture. We are that home remodeler. Through attentive listening and open lines of communication from start to finish, we act as your partner and advocate throughout every step of your renovation. We do our best work with clients who are engaged and actively participating in the process. Your initial interview will help us determine if we’re a good fit as your home remodeler. A potential client will always speak to a member of Pagenstecher Group’s ownership team. This is our first interaction, so it’s a time to get to know one another. We want to learn about you and your home along with your project goals and budget. As a prospective client, you will likely have questions about us and our process, and we welcome this dialogue. Preliminary design is an interactive process where you work together with our architectural staff to hash out design ideas and develop a conceptual plan. This is a back and forth process where the merit of a design can be quickly tested and approved or discarded. Upon completion of the preliminary design, we next turn our sights towards the budget. Though not a final quote for construction, our preliminary estimate allows you to make decisions on cost and scope of work early in the process. Once the preliminary design and budget are approved, we work diligently to hammer out the technical details of your renovation and apply for permits. At the same time, our design staff guides you through the process of material and finish selections. Attention to every detail is crucial at this stage and ensures your project will proceed smoothly once construction starts. After all the decisions are complete, our estimators prepare the final quote for your renovation. Construction begins once the final quote is approved and permits are issued. Working in an occupied home can be a challenge so our craftspeople work tirelessly to fit into your home’s routine. Since all the design decisions have been made in advance, construction should progress smoothly. Communication remains constant throughout construction and includes a weekly on-site meeting. This meeting is a review of the work that has been done the prior week and addresses the plans for work in the upcoming week. Cultivating an environment built on trust and teamwork is core to our company’s DNA allowing us to confidently and consistently produce work of the highest caliber. Our finished products are second-to-none, and our portfolio proves that. But more importantly, we strive to provide a positive remodeling experience for you and your family.